Tempted to experience the charms of Sicily for the holidays? 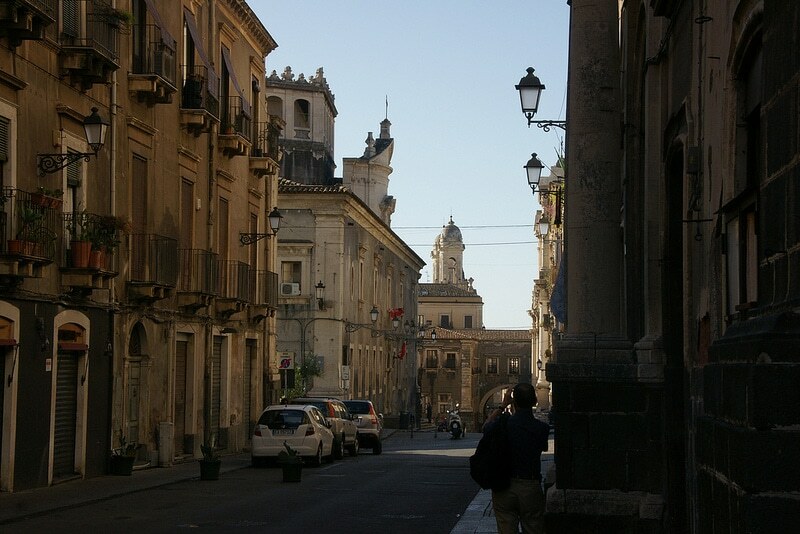 After Palermo, discover the best districts to stay in Catania! The eastern coasts of Sicily, the sumptuous beaches of the Ionian Sea, the beautiful slopes of Mount Etna, magnificent natural settings, authentic and tasty seafood markets, architectural wonders of ancient civilizations, the festive hustle and bustle of streets that never sleep: this is all Catania has to offer within its walls. And no, Catania and Sicily do boil down to Cosa Nostra and the mafia. With 315,576 inhabitants (2014), Catania is Italy’s tenth most populated city. It is an effervescent and exuberant baroque city. However apartment rentals can be quite expensive, and it’s better to have a comfortable budget to stay in Catania. 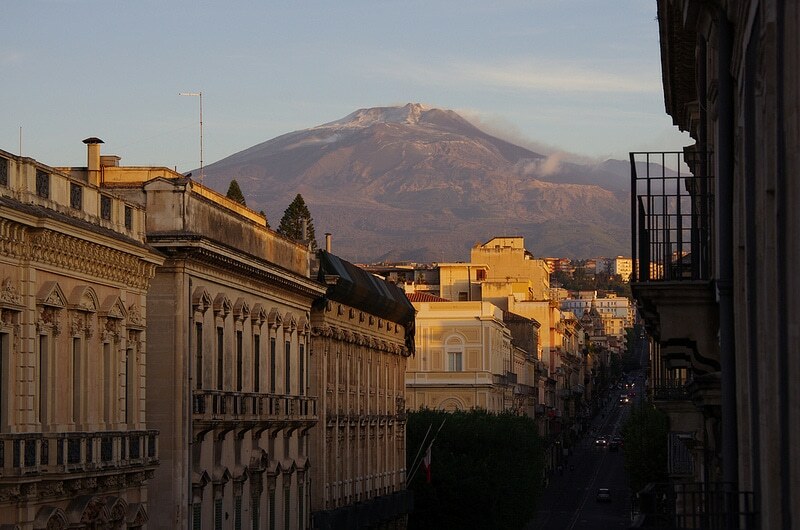 Despite the fact that the city features almost 60 neighborhoods, there are few interesting quarters to stay in Catania. In fact, the majority of accommodation – hotels, bed, and breakfasts or youth hostels – is situated in the city center. Here is a presentation of the best places to stay in Catania. Via Etnea is the main pedestrian street in the historic center of Catania. This small, busy shopping street divides the city center along a straight three-kilometer route. While clothing boutiques and souvenir shops are packed with customers during the day, locals and tourists treat themselves in the street’s array of ice cream parlors, bars, and restaurants. At nightfall, the district loses its shopping spirit and cloaks itself in a festive atmosphere. The terraces are quickly crowded with young people who enjoy drinking and eating in the area’s plethora of brasseries, pubs, trendy bars, and pizzerias. In other words, the neighborhood around Via Etnea offers little respite and you won’t get bored if you choose this area to stay in Catania. The area houses many hotels, but also the botanical garden as well as numerous historic buildings, including baroque churches and a cathedral, the elephant fountain, the cathedral square. Take a detour into the Bellini garden near Piazza Roma, next to Etnea Street. The area surrounding Via Etnea and Piazza Duomo is a great place to stay in Catania, an ideal position to wander in the streets of the city center, hassle-free. After walking and shopping north of the city center, continue further south on the Via Crociferi to visit baroque palaces and churches. Don’t miss the ancient monuments of the Roman Empire – Odeon, Roman amphitheater (as large as the Colosseum of Rome), theatre -, as well as the frescoes and the majestic baroque decor of San Benedetto church. Wander through the narrow streets of the city center, and discover how Carthaginian, Roman, Byzantine, Arabic, Norman and Spanish invasions have succeeded one another. Where to stay in Catania? In the area around Via Crociferi if you are an aficionado of history-laden places.